EPA Rule Increases Protection from Lead-Paint Poisoning Agency also extends deadline for required training. WASHINGTON – Beginning today, all contractors performing renovation, repair or painting work in homes built before 1978 must follow lead-safe work practice requirements. A new EPA rule removes a provision from existing regulations that allowed owner-occupants of pre-1978 homes to “opt-out” of having their contractors follow lead-safe work practices if there were no children under six years of age in the home. At present, almost a million children have elevated blood lead levels as a result of exposure to lead hazards, which can lead to lower intelligence, learning disabilities, and behavior issues. Adults exposed to lead hazards can suffer from high blood pressure and headaches. EPA has eliminated the so-called opt-out provision because improper renovations in older homes can create lead hazards resulting in harmful health effects for residents and visitors in these homes, regardless of age. The result will better protect children and adult occupants during and after renovation, repair and painting projects. In April 2008, EPA issued the Lead Renovation, Repair and Painting (RRP), which required the use of lead-safe work practices in pre-1978 homes but included the opt-out provision. EPA’s new rule, effective today, removes the opt-out provision and makes the RRP consistent with statutory requirements. The RRP rule requires certification of training providers and lead-safe work practice certification for individuals involved in the construction and remodeling industry. To date, EPA has certified 254 training providers who have conducted more than 16,000 courses and trained an estimated 320,000 renovators in lead-safe work practices. Because of concern that contractors in some areas may be having difficulty accessing training classes, EPA recently announced that it is providing renovation firms and workers additional time to obtain training and certifications to comply with the new lead rules. EPA will not take enforcement action for violations of the rule’s firm certification requirement until October 1, 2010, and will not enforce certification requirements against individual renovation workers if they apply to enroll in certified renovator classes by September 30, 2010 and complete the training by December 31, 2010. The agency will continue to take enforcement actions against renovation firms and individuals who do not comply with the RRP work practices and associated recordkeeping requirements. 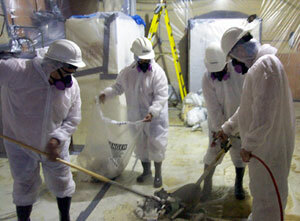 The lead-safe work practices include dust control, site clean up and work area containment. It is important that contractors take proactive steps to protect children, families, and themselves while they take the training and file the appropriate paperwork.